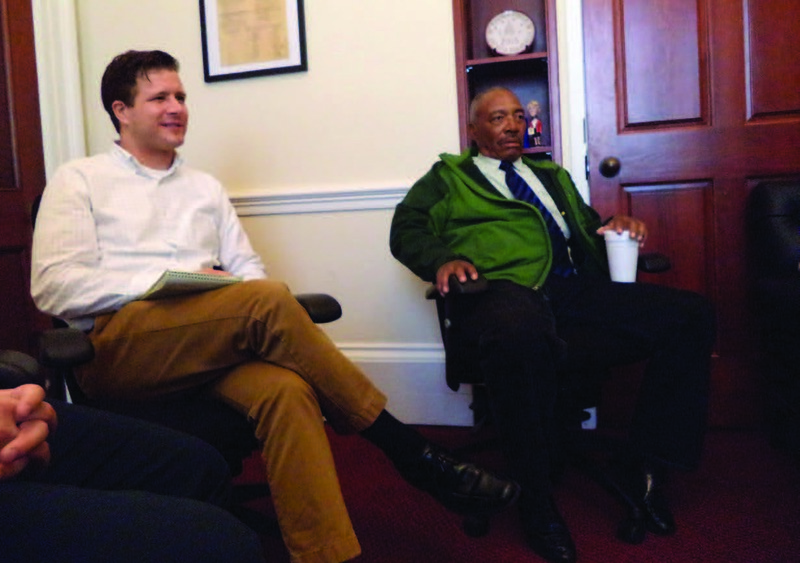 Howard Wright, left, has been a Wells Rural Electric Co. board member for 18 years. The 74-year-old spent many years building relationships in the community and beyond, including starting a popular summer youth basketball camp. Photo courtesy of Wells Rural Electric Co.
Howard Wright measures his service on the Wells Rural Electric Co. Board of Directors in numbers: six terms and 18 years. Yet the relationships he nurtured during that time are immeasurable. Local board members counted on Howard to develop friendships while he represented WREC at regional and national meetings that dealt with issues affecting the electrical industry. “He brought the board together with other delegates wherever we went,” says Mary Wright, a retired board member who served with Howard. Howard, 74, will retire from the board in October. 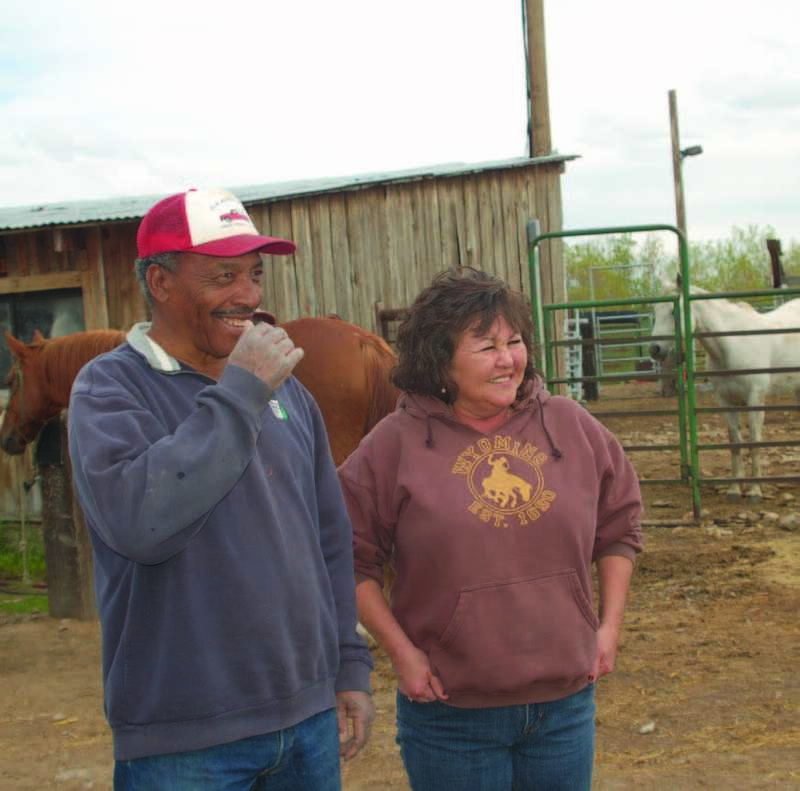 Mary recalls a memorable event at a regional meeting of electric co-op board members. “He joined us with a group of his new friends—five jovial Inuit directors from northern Alaska,” she recalls. His gregarious attitude at regional meetings carried over to national events. Coincidentally, Mary says her and Howard’s families both trace their roots to Georgia. 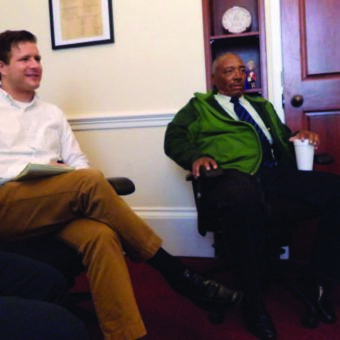 Howard’s board work sometimes required meeting with state congressional staff. Throughout his service, Howard remained committed to his campaign promises. Howard completed classes to enhance his ability to serve and understand the complex issues involving electric rates and other concerns facing WREC. He passed tests to become a Certified Credentialed Director with the National Rural Electric Cooperative Association and earned the Board Leadership Certificate. He studied courses concerning director duties and liabilities, the electric industry, board roles and financial planning. Howard says the decisions reached in the board room were still often difficult. Howard also served on WREC’s Next Dollar Foundation and helped select philanthropic projects to fund in the service area. When his duties with the WREC board were done, Howard turned his attention to the Carlin community, where he graduated from high school in 1962. A versatile athlete, he competed in basketball, football and track. 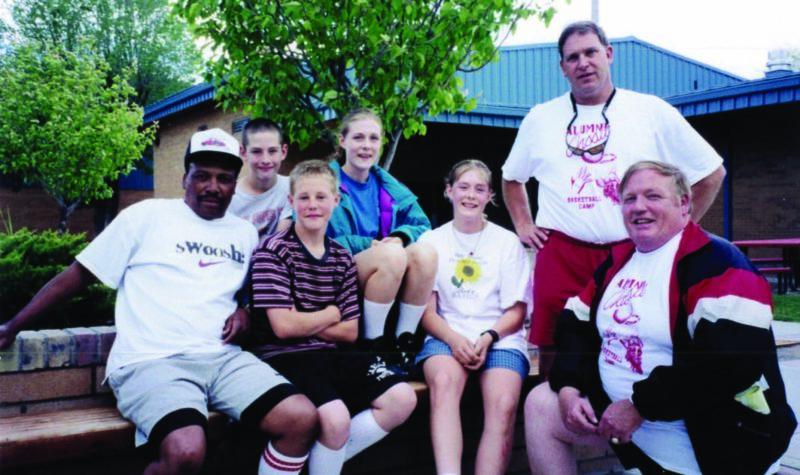 During his spare time from working at the Union Pacific Railroad, Howard organized a popular summer basketball camp for Carlin youth, teaching skills to athletes who would form the foundation for winning teams. “The camp was always in early summer, so kids could keep their skills honed up,” Howard says. He coached high school junior varsity basketball, Little League baseball and girls’ softball. “Even after our three kids graduated, we still went to all the games we could,” he says. Some of the children he coached became WREC employees. His demeanor and care for the community make Howard a popular figure. Howard applied sound business principles not only with the WREC board, but also as a Carlin businessman. He ran a part-time auto repair shop, had a tow truck service and developed eight trailer spaces. In the 1990s, he started a self-storage business. Howard had more time for his many interests after retiring from the railroad in 2004. Board Chairman Scott Egbert says Howard would battle fiercely and take on the whole board for any single member if he thought something was not quite right, or that member needed a little extra help. “He was definitely a friend to everyone and lifted everyone’s spirits wherever he went,” Scott says.